Keith Evans addresses Judge Mark Fleegle alongside attorney Terry Rugg. 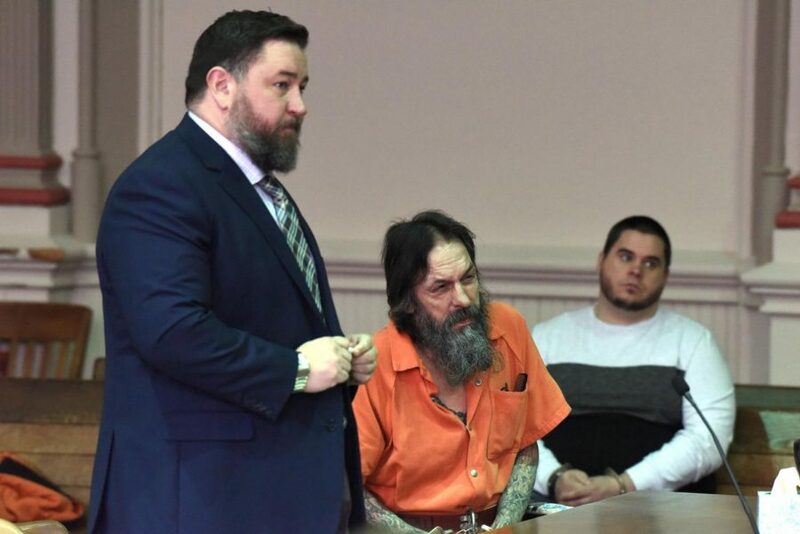 A Zanesville man with a lengthy history of incarceration told Judge Mark Fleegle he was never afraid to go to prison before, but this time is different. According to Assistant Prosecutor John Litle, Evans was suspected of drunk driving while at Rural King on Maysville Pike on March 15, 2018. When deputies arrived, Evans fled, almost causing a crash in traffic. Litle told the court that Evans continued driving, turning onto side streets and reaching speeds as high as 65 mph on Shaw Road. At some point, Litle said Evans drove through yards and crashed into an embankment. Litle said Evans exited his vehicle, reached into his waistband and ignored the orders of law enforcement to show his hands. Officers tackled Evans, who then spat bloody saliva into the face and mouth of a deputy, Litle said. Evans pleaded guilty Monday morning to a fifth-degree felony charge of harassment with a bodily substance, a first-degree misdemeanor of OVI and two counts of driving under suspension, also first-degree misdemeanors. An original third-degree felony count of failure to comply was dismissed with the plea deal. “You’ll never hear my name in the court system ever again,” Evans told Fleegle, who was familiar with the defendant’s past. Fleegle sentenced Evans to 11 months in prison. Evans must also surrender his driver’s license for a year and pay a mandatory fine of $625 for the OVI charge.